What can we learn from the stunning rise and mysterious death of the ancient world's greatest conqueror? An acclaimed biographer reconstructs the life of Alexander the Great in this magisterial portrait. More than two millennia have passed, but Alexander the Great is still a household name. His life was an adventure story and took him to every corner of the ancient world. His memory and glamour persist, and his early death at thirty-three has kept him evergreen in our imaginations with a legacy that meant something different to every age: in the Middle Ages he became an exemplar of knightly chivalry, he was a star of Renaissance paintings, and by the early twentieth century he even came to resemble an English gentleman. But who was he in his own time? 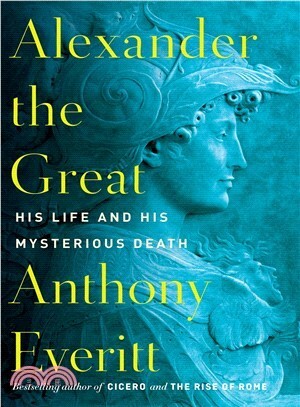 In Alexander the Great, Anthony Everitt judges Alexander's life against the criteria of his own age and considers all his contradictions. We meet the Macedonian prince who was naturally inquisitive and fascinated by science and exploration, who enjoyed the arts and used the poet Homer's great epic, the Iliad, as a bible. As his empire grew, stretching from Greece and Macedonia to Ancient Egypt and Persia and all the way to India, Alexander exhibited respect for the traditions of his new subjects and careful judgment in administering rule over a vast territory. But his career also had a dark side. An inveterate conqueror, who in his short life built the largest empire to that point in history, Alexander glorified war and was known to commit acts of great cruelty. As debates continue about the meaning of his life, Alexander's death remains an unsolved mystery. Did he die of natural causes, felled by a fever, or did his marshals, angered by his tyrannical behavior, kill him? An explanation of his death can lie only in what we know of his life, and Everitt ventures to solve that puzzle, offering an ending to Alexander's story that has eluded so many for so long. Anthony Everitt, a former visiting professor in the visual and performing arts at Nottingham Trent University, has written extensively on European culture and is the author of Cicero, Augustus, Hadrian, The Rise of Rome, and The Rise of Athens. He has served as secretary general of the Arts Council for Great Britain. Everitt lives near Colchester, England's first recorded town, founded by the Romans.